Bring this tasty outdoors treat indoors! We’ll bring our fire box for your guests to roast marshmallows over. Choose from our Old Fashion S’mores Station, which includes everything you will need for a good old fashion S’more – graham cracker, chocolate and marshmallow! 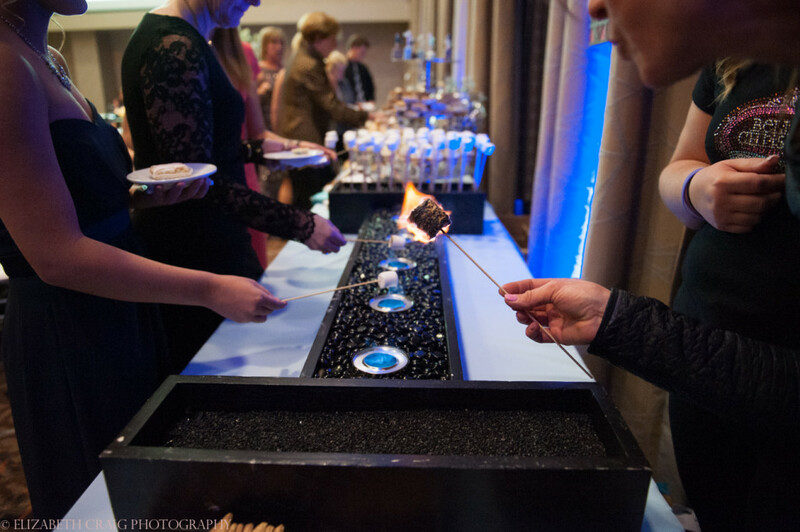 Or, choose our Gourmet S’mores Station which puts a new twist on a classic tradition. Your guests will choose from flavor combinations such as Elvis, Baby!, Salted Caramel, Oreo Dream, Insomniac and more! After their first one, your guests will be sure to want S’more!